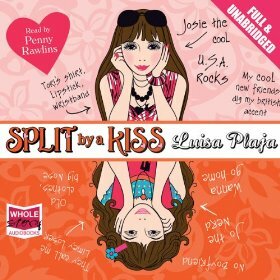 Split by a Kiss has now been released as an audiobook, read by Penny Rawlins and published by W F Howes. There’s information in their catalogue, and it’s available on CD at online audiobook shop Whole Story Audiobooks. It’s also available as a download on Audible and Amazon. 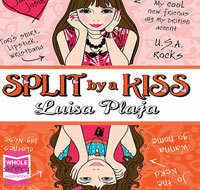 A fabulously entertaining tale of a teenager who splits in two when she has a difficult decision to make. Jo has just moved to America – to a new school, and maybe a chance to be cool. When she is chosen by Jake Matthews, officially the hottest boy in school, Jo can’t believe her luck. But the reality of being with Jake is not quite as great as the fantasy… Torn by her dilemma, Jo splits. She’s Josie the Cool and Jo the Nerd. Will her two halves ever come back together again?